Kawazu Sakura Festival (河津桜まつり) is one of the early blooming cherry blossom festivals. 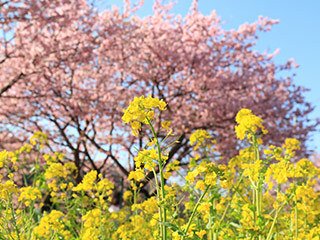 It is held in Kawazu, Izu peninsula from the mid-Feb. to the early Mar. Kawazu Sakura has the beautiful pink flowers. During the festival, there are many food stands and gift shops opening here.